April Kennedy...My Life + My Style: I MADE THE FRONT PAGE ON ETSY! I MADE THE FRONT PAGE ON ETSY! Go HERE to see what it looked like on the front page! I always wondered if one of my items would be worthy of being featured! Thanks upup! I needed that boost this weekend. Congratulations. That's a great Sunday surprise. That's so cool! 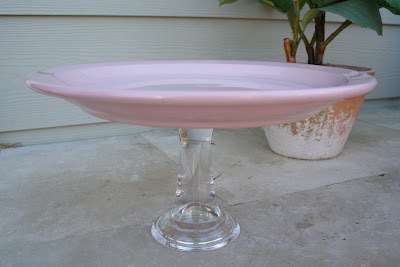 I looooovee that cake stand! I was going to attempt to make a cake stand. Was is the operative word. I didn't even try.